Your student will be able to follow along with many of your lesson plans, but some curriculum plans will need more adjustment than others. Once you’ve got a plan in place, it’ll be easier the following year to think about your lessons in terms of your traditional and special needs students. Student with Down syndrome are often visual learners. This is one of the easier learning styles to accommodate as most classrooms are set up with bulletin boards, chalkboards, and areas for posters, etc. Try to have a visual prop for each lesson you teach. This section of the guide will give you some practical tips for enhancing the different subjects you teach. If your student has hearing loss, reading will be the primary method by which he/she learns the language. Reading provides visual cues that they may miss in the spoken word. The See and Learn Language program is recommended by the Down syndrome network of Montgomery County and consists of a step-by-step process that progresses from word pictures, to written words, to first sentences. 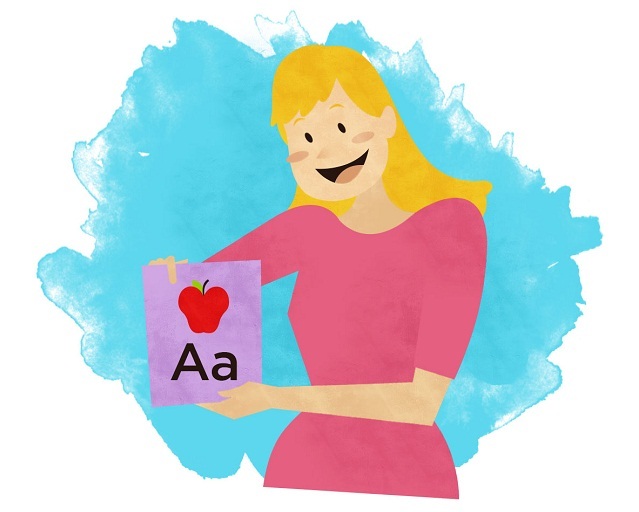 Phonics is difficult for students with down syndrome to learn – many children learn to read by memorizing a large bank of sight words. Once the child is older (7 or 8) phonics may be easier to grasp. For older students, using a projector or SmartBoard in class is a common practice in most classrooms nowadays. This works very well with all students, especially those needing visual cues. Dragging that cursor around or using the pointer gives them a sense of direction when reading projected material. Games can be projected and create a highly effective teaching tool to a student who’s visually stimulated. Quizzes can also be projected making the difficulty of a quiz at least a little more understandable. Quizzes, games, tests, reading, and more can also be done on computers depending on the age, the curriculum and the student’s needs. However, quizzes and tests should be modified in various ways. Grade only five of the 10 questions and answers. Give the student an oral quiz or test. Give the student only five instead of 10 questions. Check out https://www.bced.gov.bc.ca/specialed/landbdif/toc.htm for more guidance on teaching children with special needs. The Handwriting without Tears program is used all over the country in traditional classrooms and works remarkably well with students with down syndrome as well. Downssideup is a blog written by a mother and Down syndrome expert and she gives tips for proper writing position. She shows her daughter at her writing station. She uses a sloped desk, foot wedge, and textured cushion. This helps with core stability and makes writing a comfortable exercise. You can also have your student trace letters that are superimposed over pictures (i.e T is displayed on a tower). Making real life connections to math problems is crucial. A student with Down syndrome may need to act out the word problem (i.e. Jane bought three apples and four oranges. How much fruit does she have altogether?). Traditional students can benefit from a “pretend-store” set up as well. Using money, objects, and role-playing, students can more easily grasp problem solving. You may need to assign fewer problems as well as give your special needs student some extra time. If you teach older grades, computer games may be helpful as well. If you are looking for a program that helps students comprehend the shape and value of numbers, Touch Math is a number system based on visual cues called touch points. The program uses dots, arrows, and lines to help counting forwards, backwards, and in sequences.